You call your voicemail, type in your password, wait for the slow voice on the other end to read out the options, listen to voicemail, press “7” to delete it, then hang up and hope that little voicemail notification disappears and never returns again. This is the basic steps to working voicemail. Sure, there are other ways to go about it, but thanks to a new feature in the Preview 2 build for Android M, which began rolling out to Nexus 5 and Nexus 6 owners who had Preview 1 installed, managing your voicemail has never been easier. If you happen to be running Preview 2, open up your Dialer app. On the right side, a new tab with a voicemail indicator should be there. Inside, a preview of your voicemails will be listed out, each of them able to drop down into their own separate card. On the card, you can listen to the voicemail, delete it, call back whoever left the message, text the contact, view the call details (time it took place, date it happened, etc), and add the contact to your contacts list. Do note, if you use Google Voice to handle all of your incoming and outgoing calls, your voicemails should already be handled through the Voice app or from your email associated with the account. For me, I am running Project Fi on my Nexus 6, so any calls I receive and voicemails I get are handled directly through my Google account. 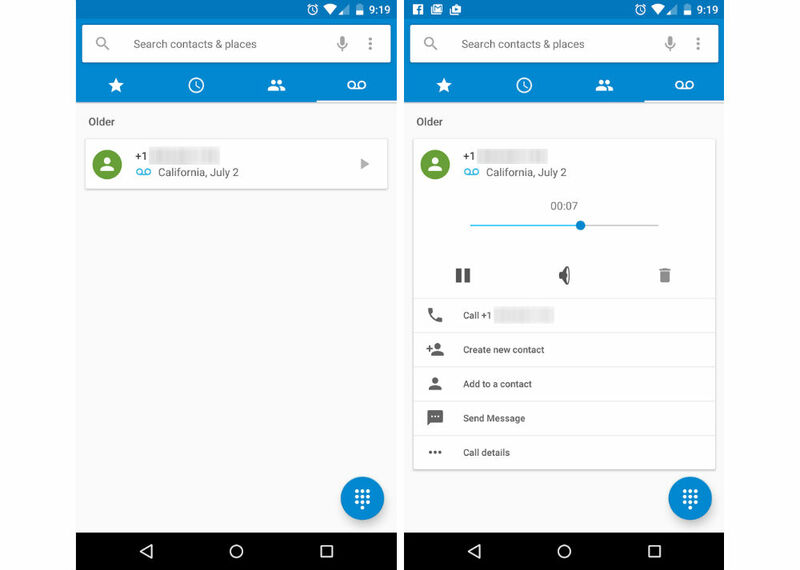 As of right now, since this is only a Preview build of Android M, we don’t know exactly how voicemail managed by your carrier will sync with this new Android M feature. 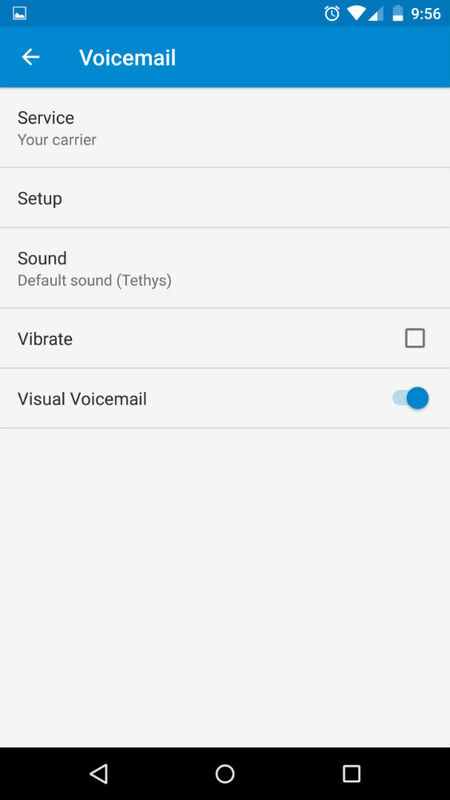 However, in the Settings menu for the Dialer app, a “setup” section is dedicated under the voicemail options. All features shown in these preview builds are subject to change, but we do hope Google decides to keep this one intact. As of right now, it works like a dream. Be sure to catch up on all of the other new Android M features!